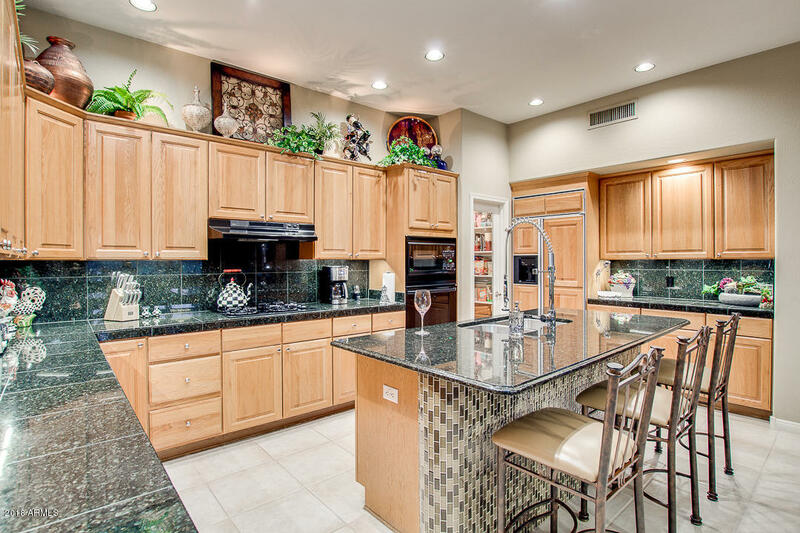 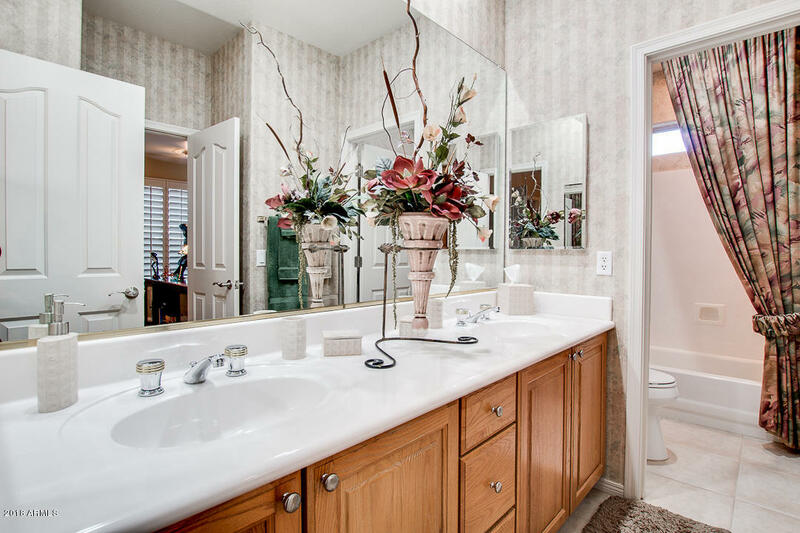 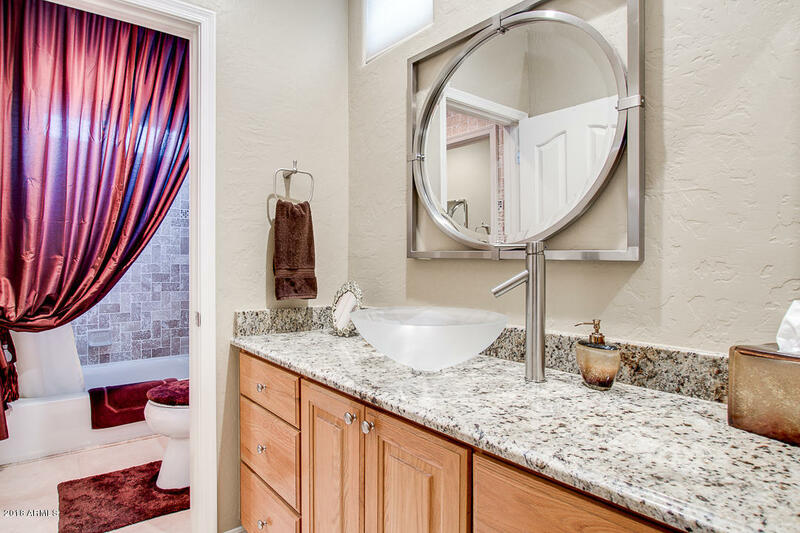 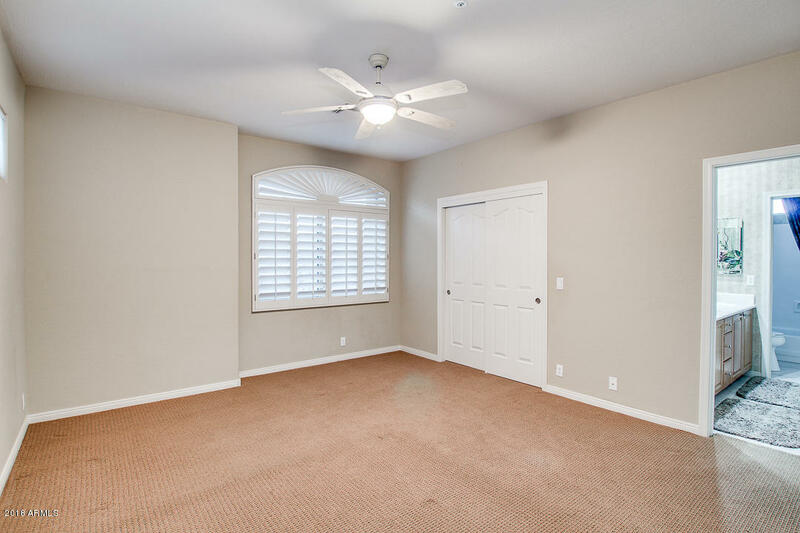 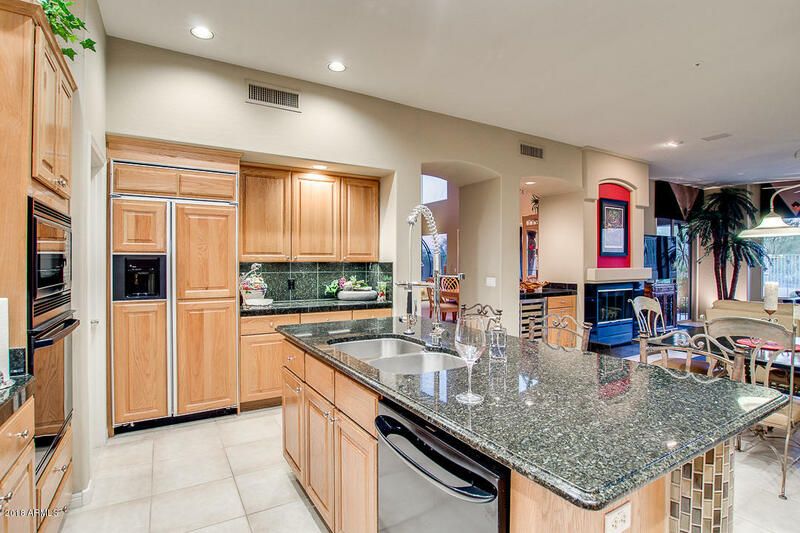 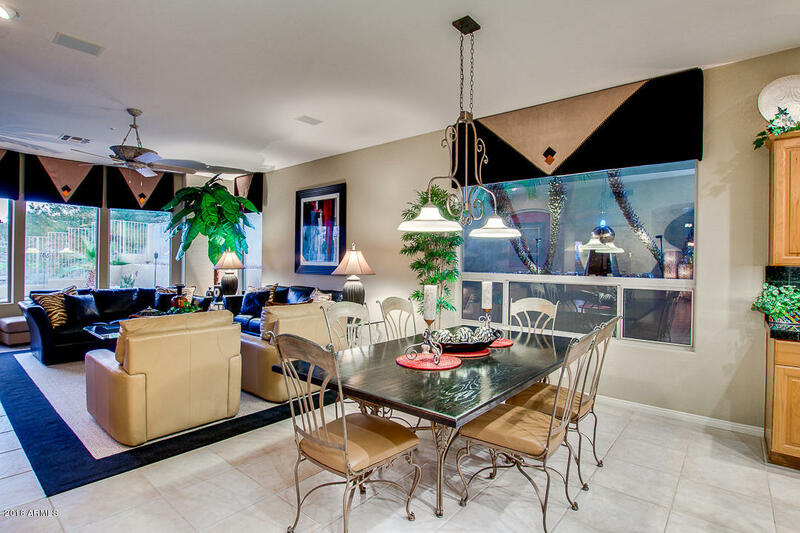 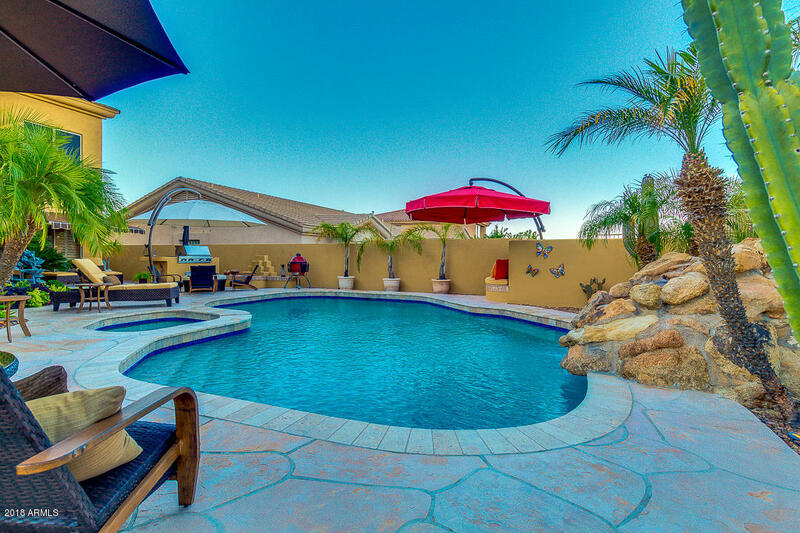 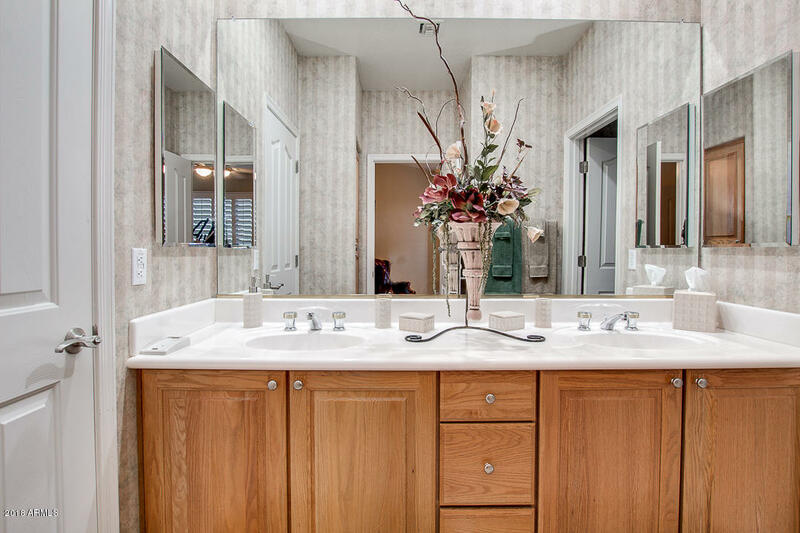 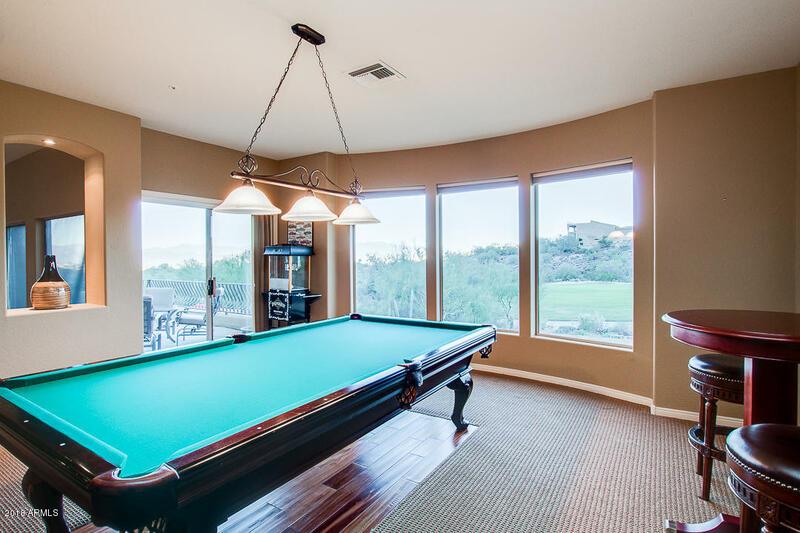 Fountain Hills 5 bedroom 4. 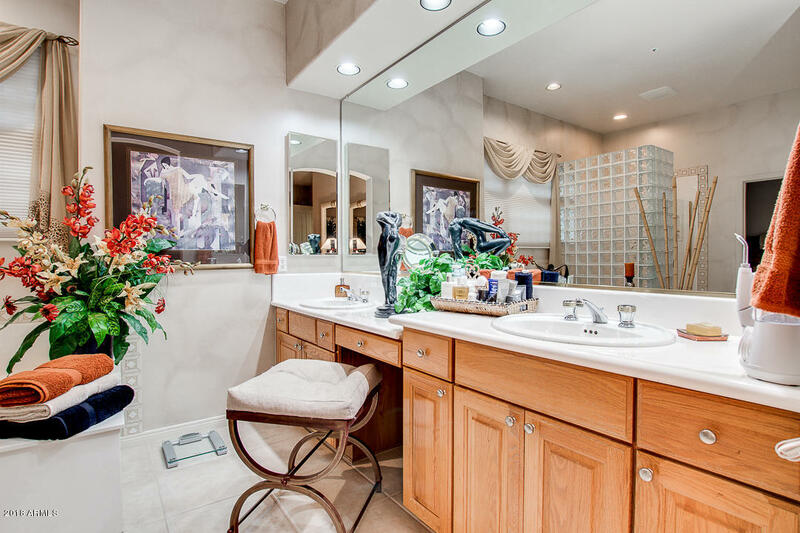 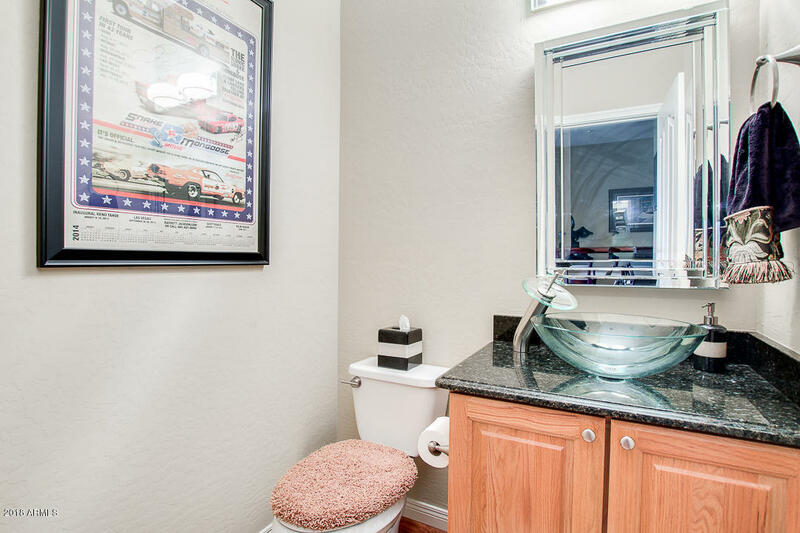 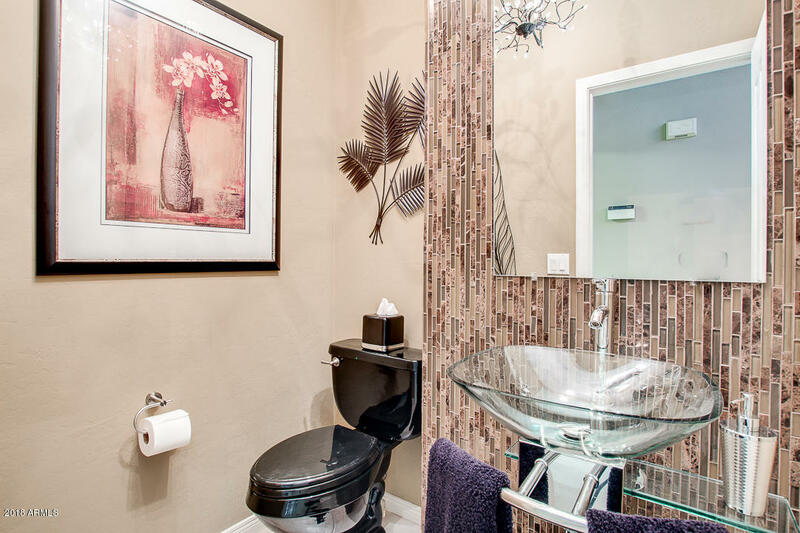 5 bathroom home located in the prestigious Sunridge Canyon and overlooks the 3rd fairway of the Sunridge Canyon Golf Course. 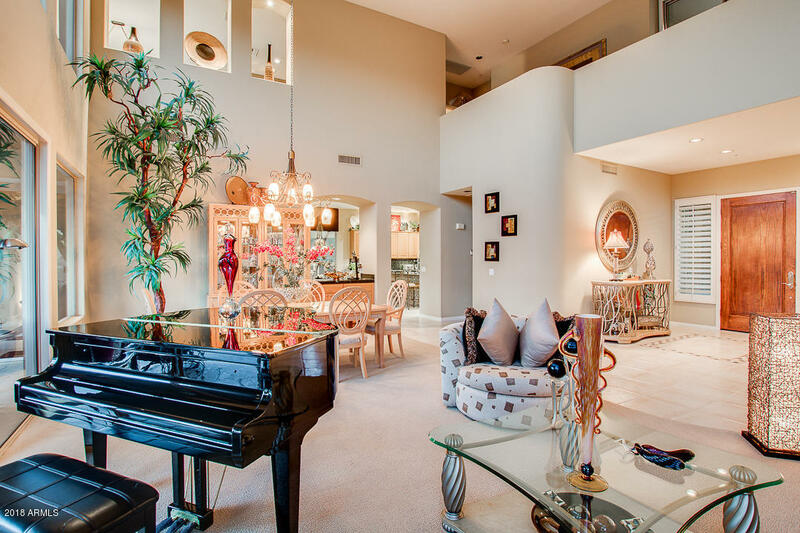 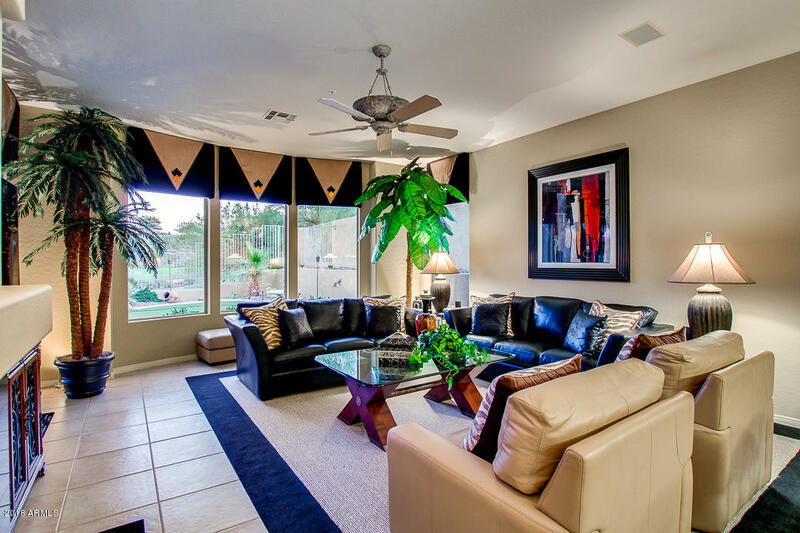 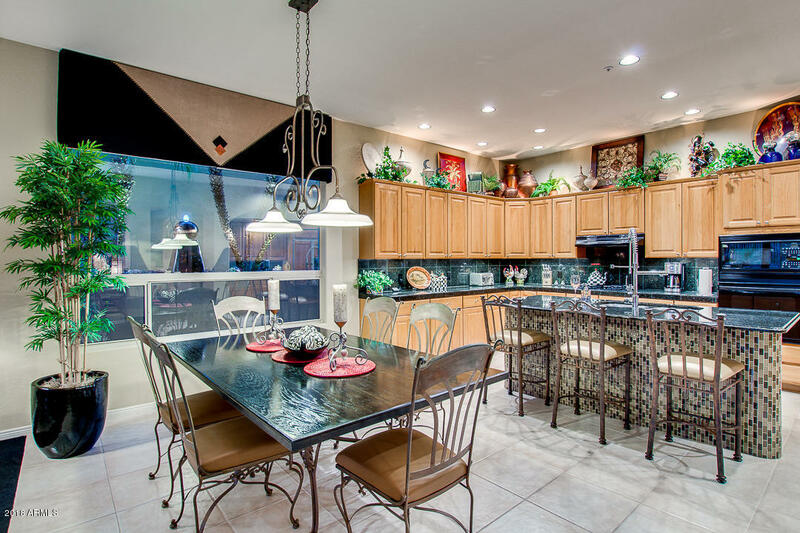 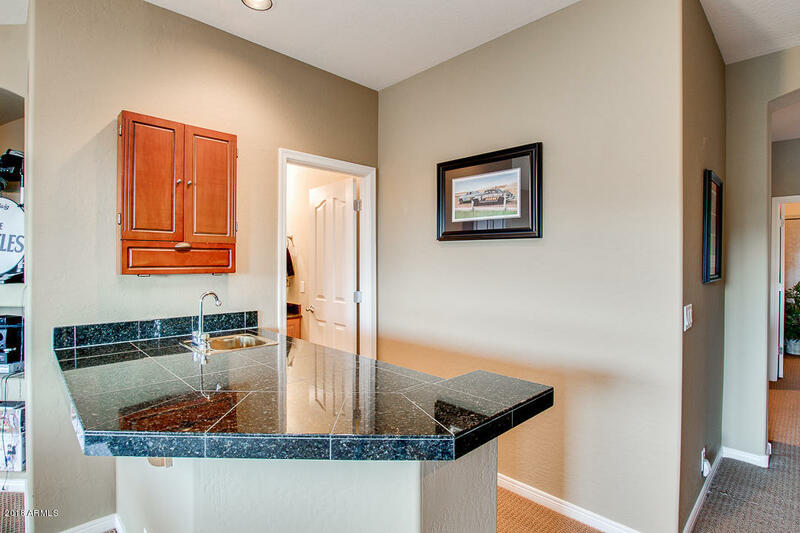 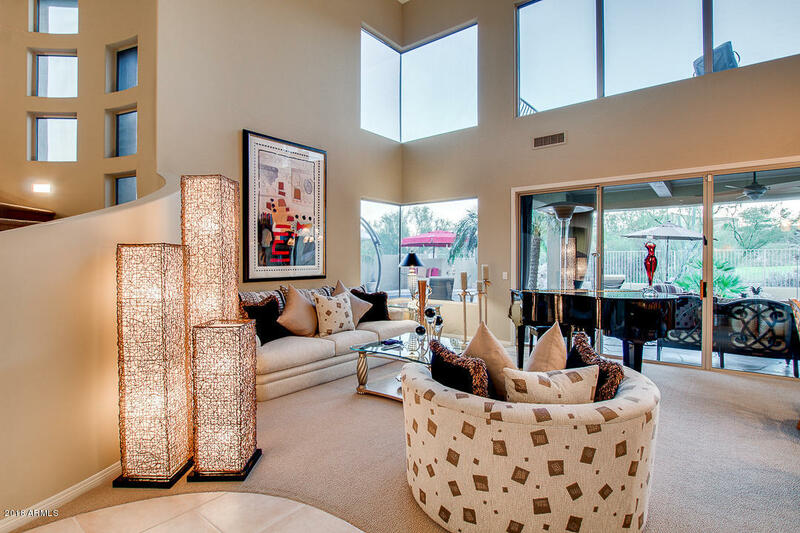 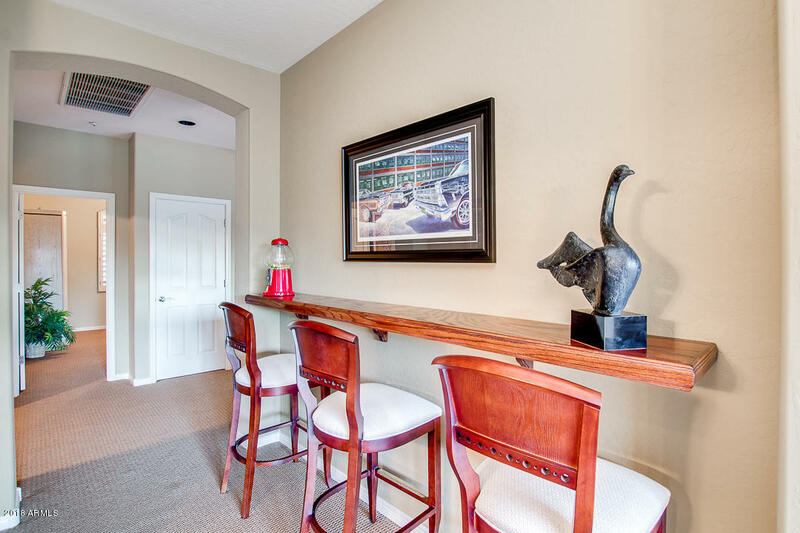 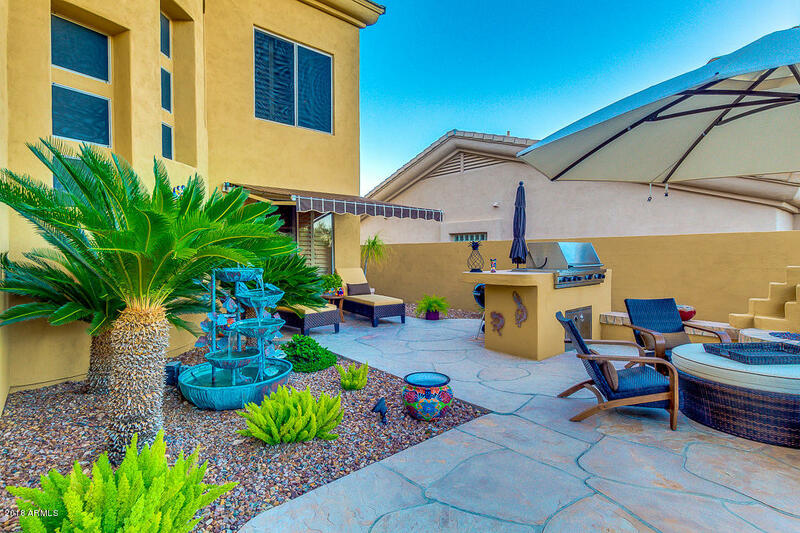 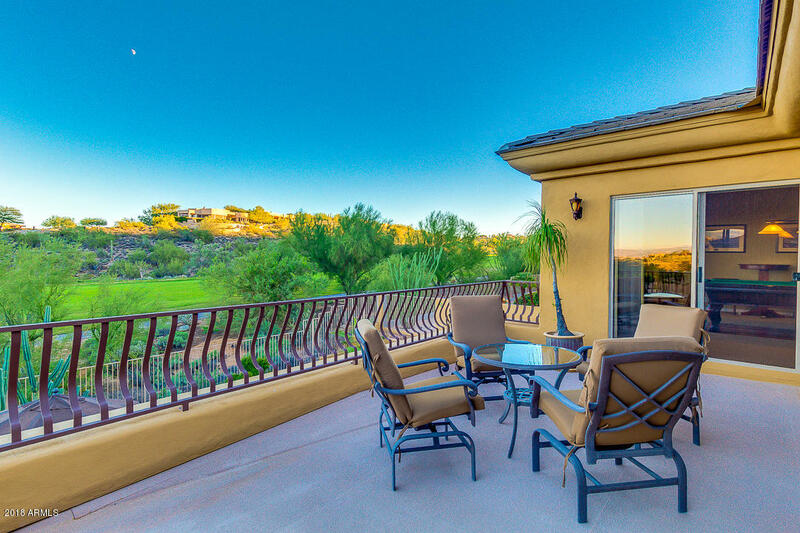 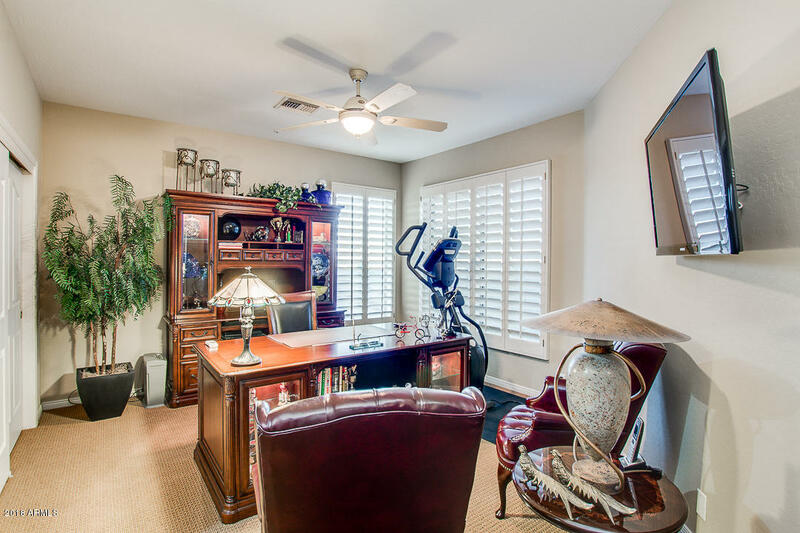 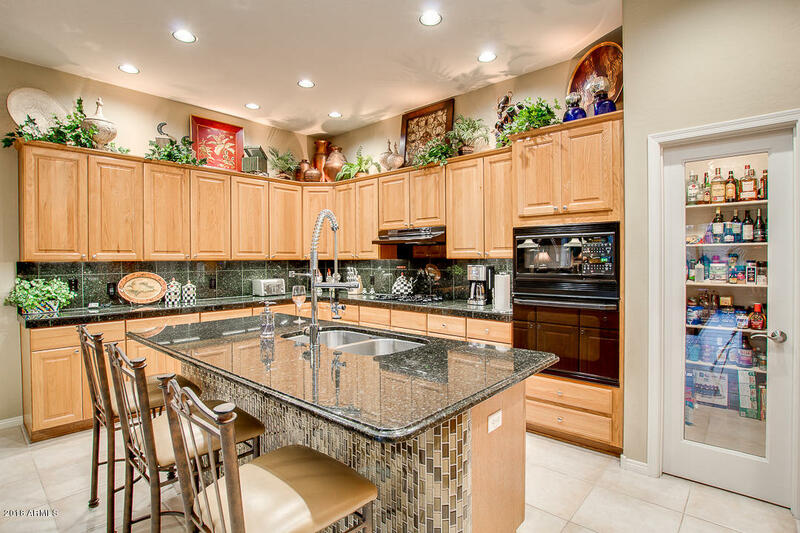 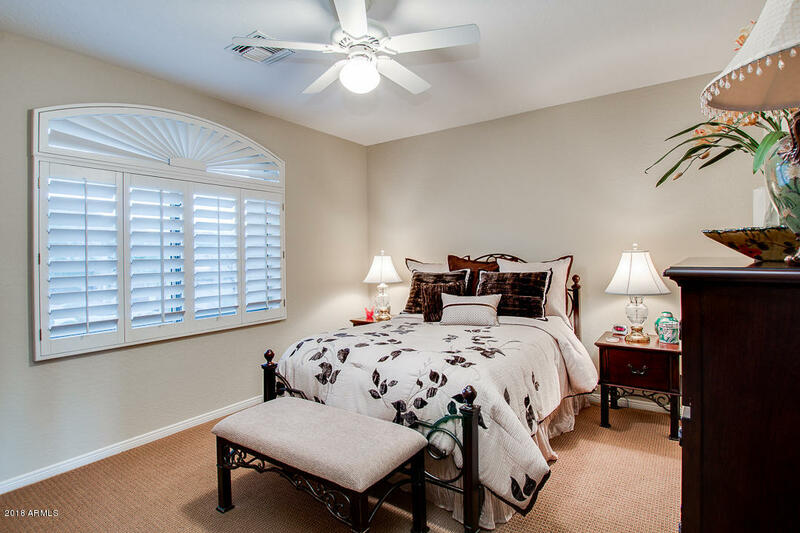 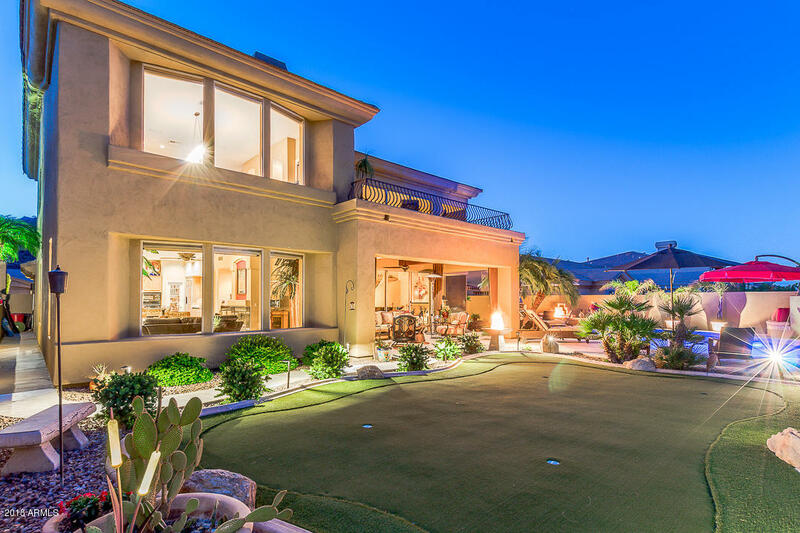 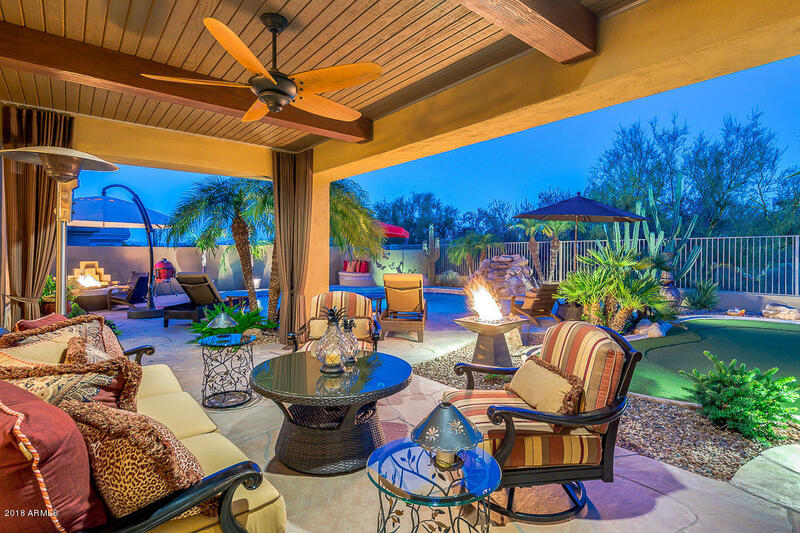 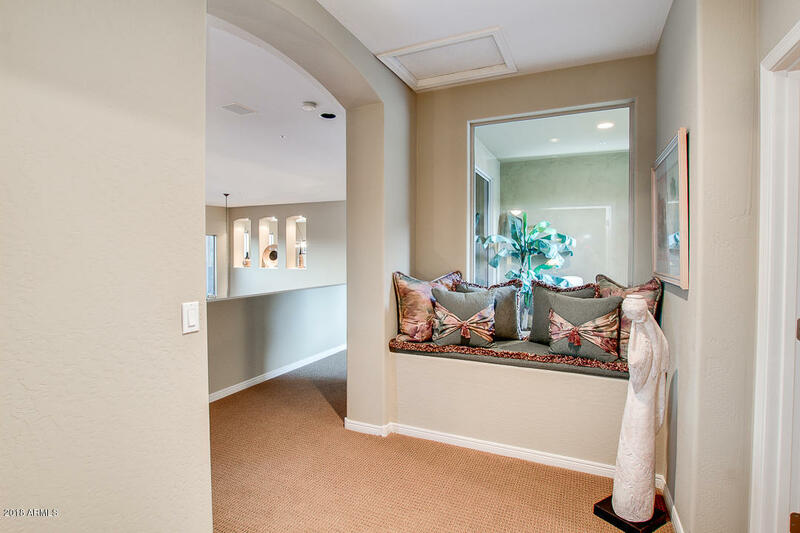 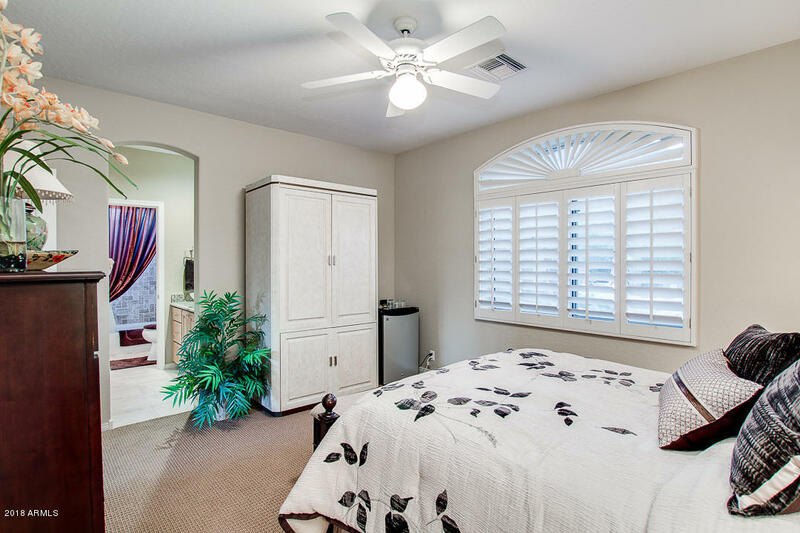 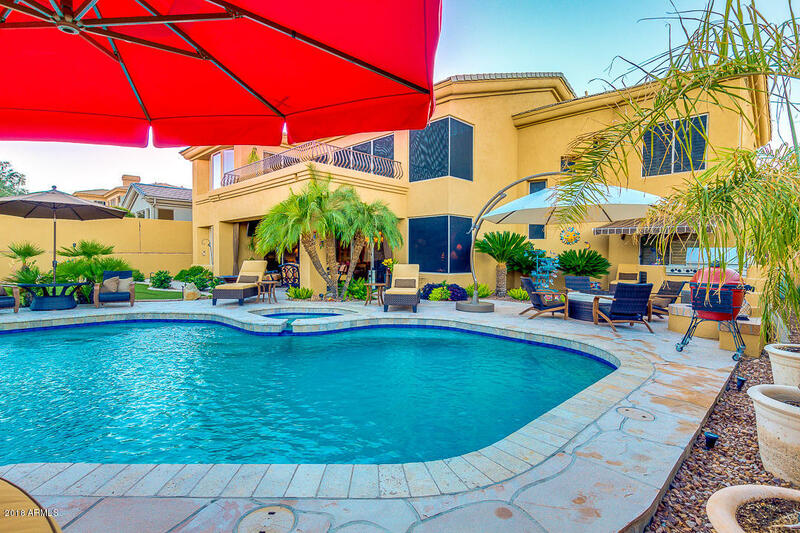 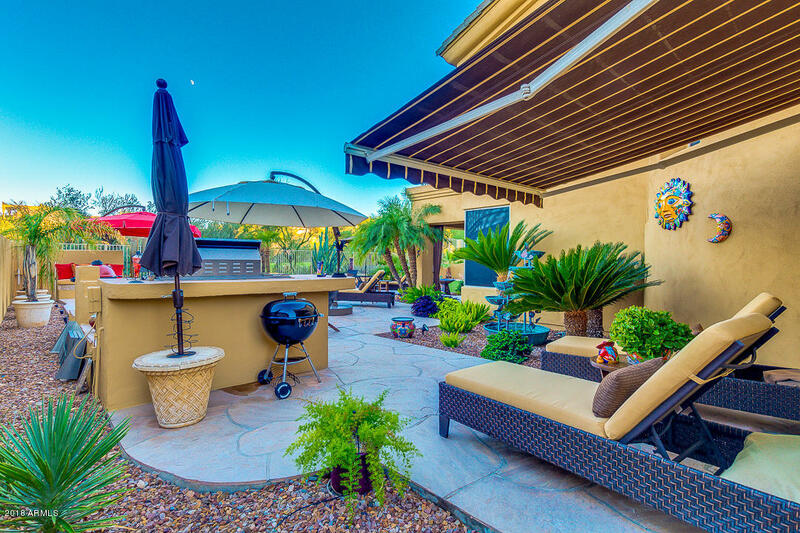 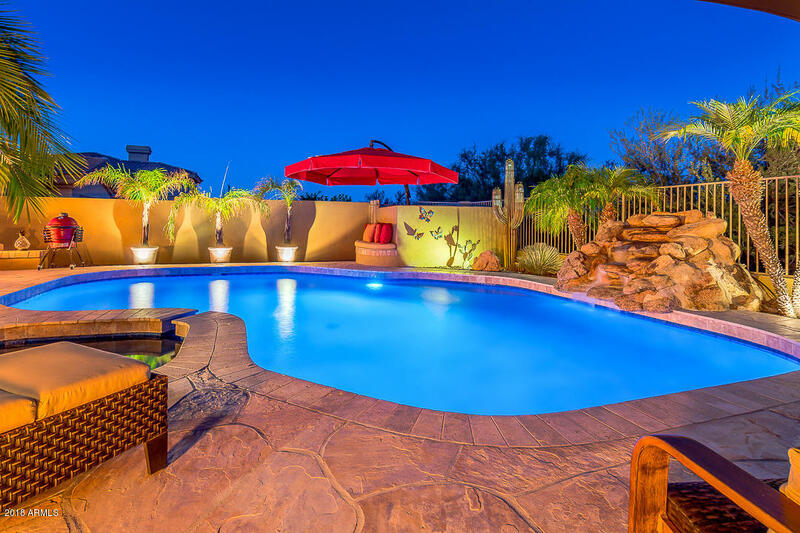 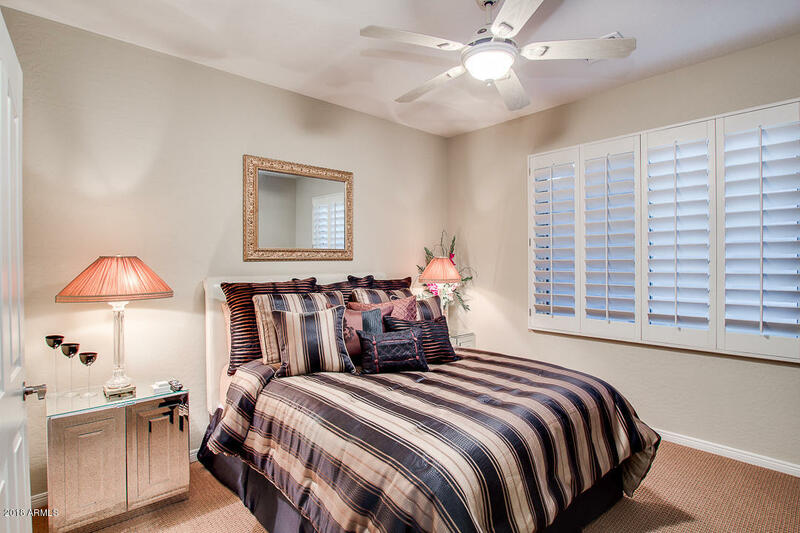 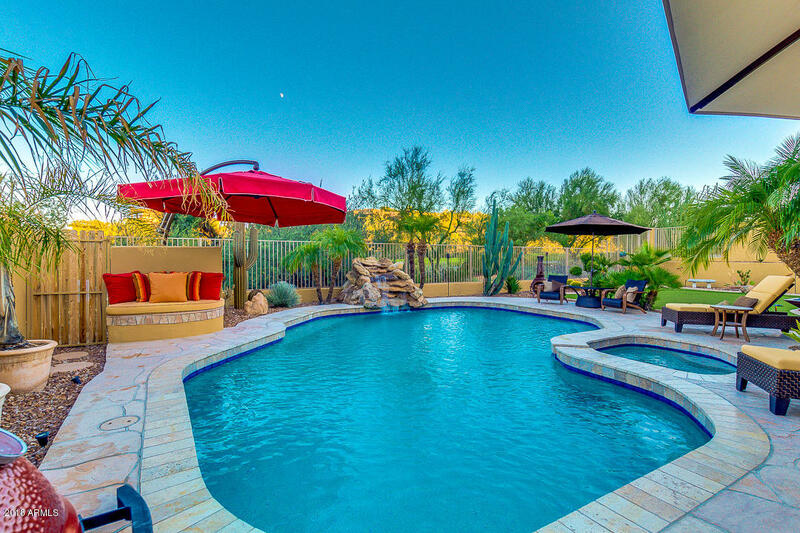 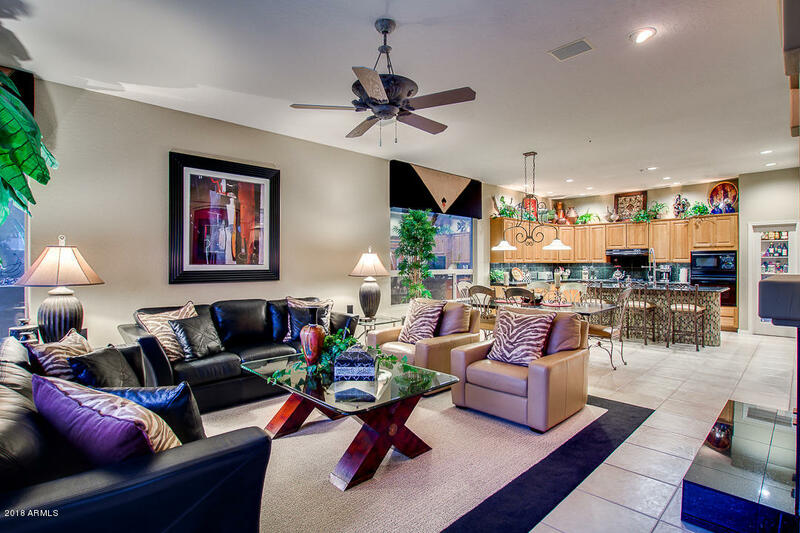 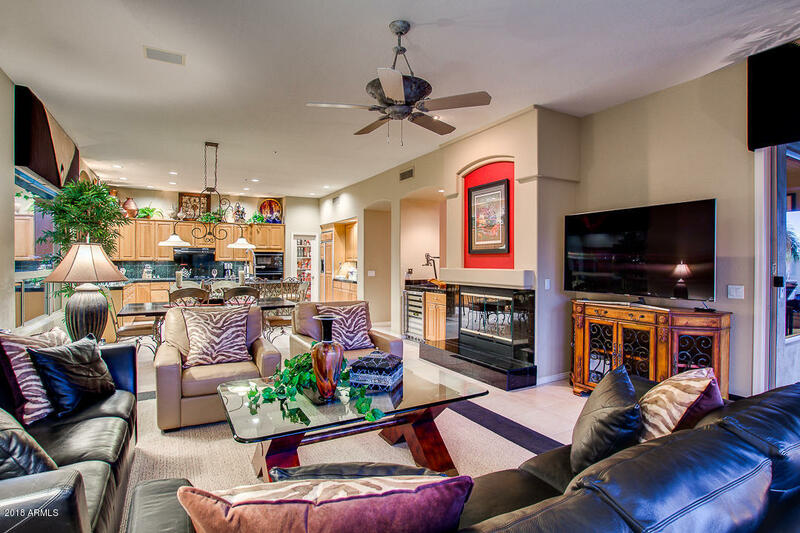 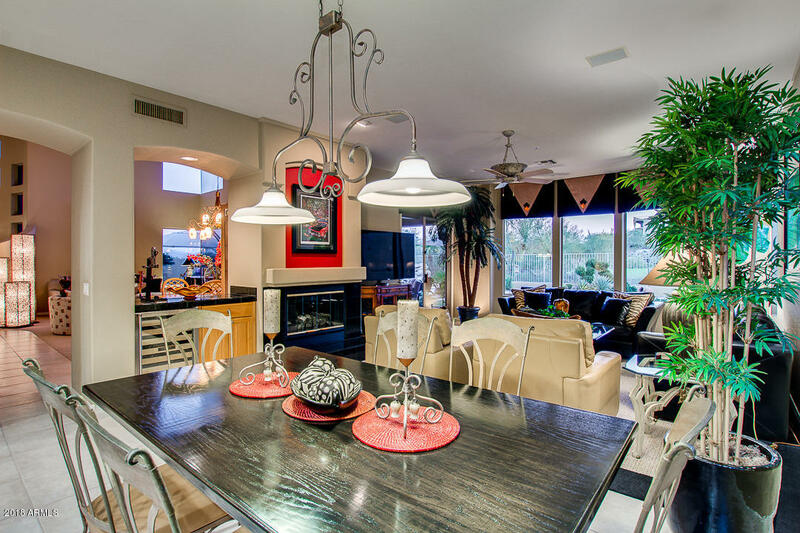 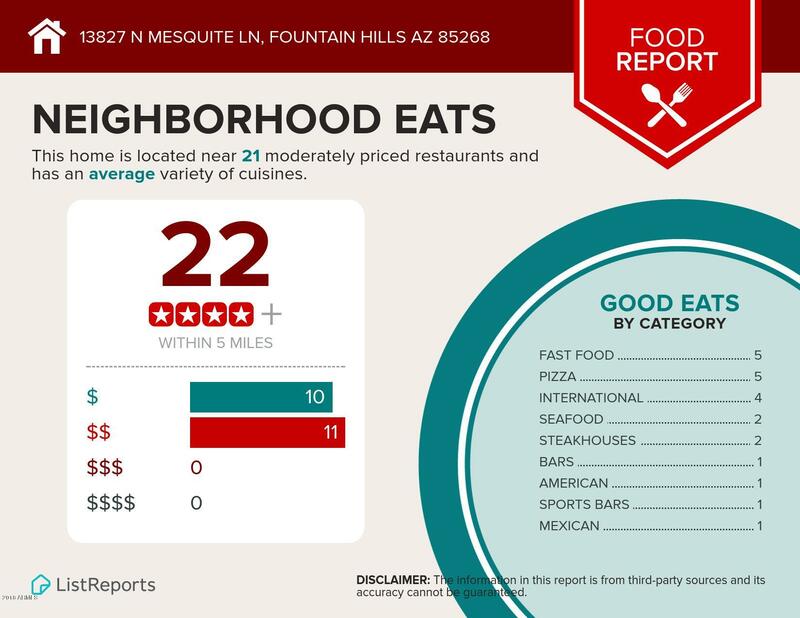 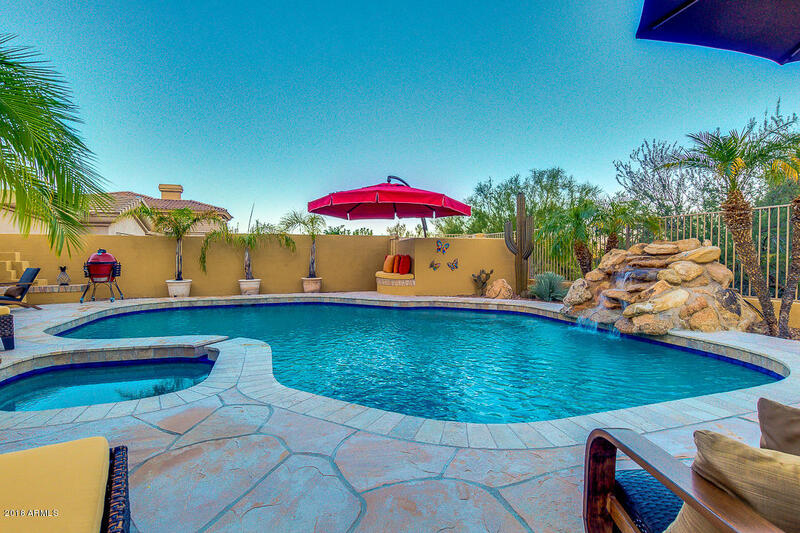 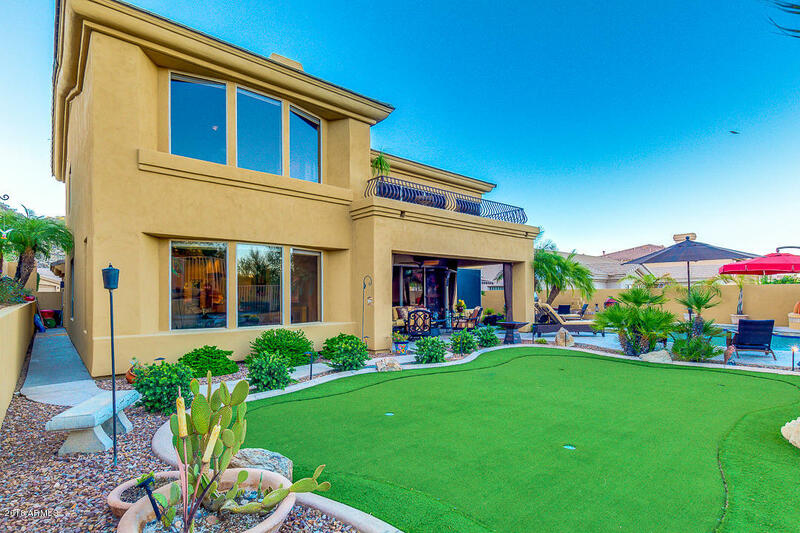 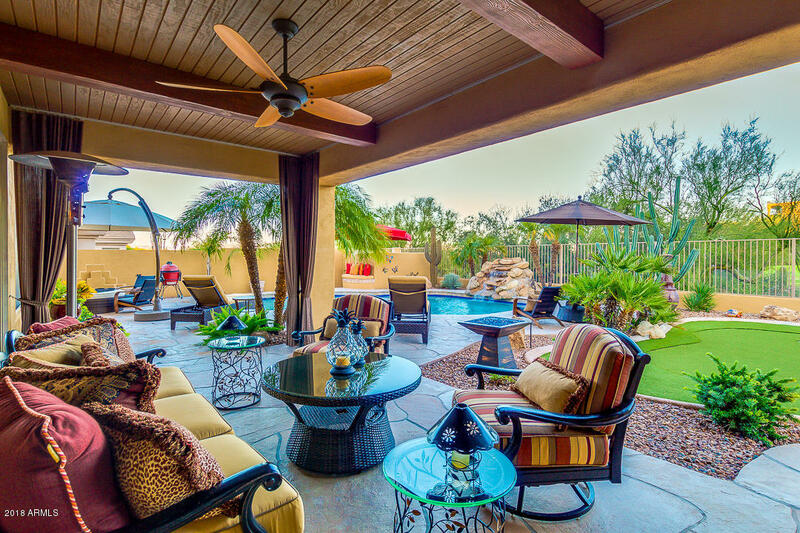 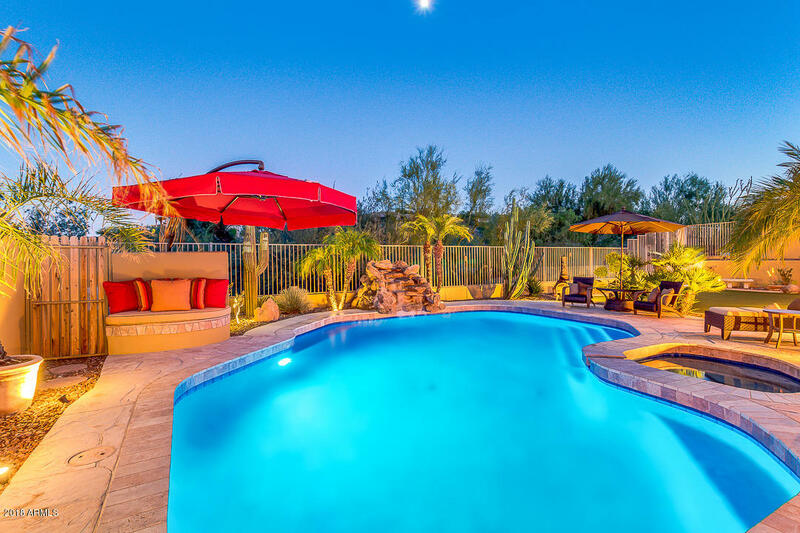 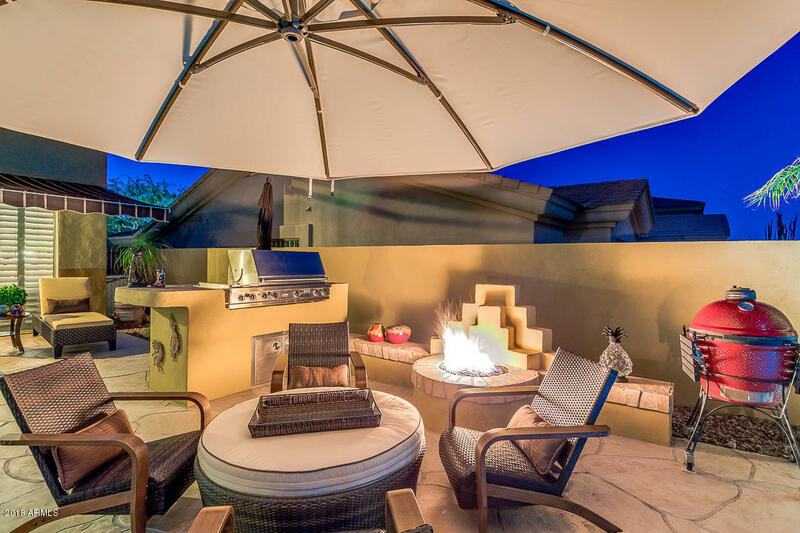 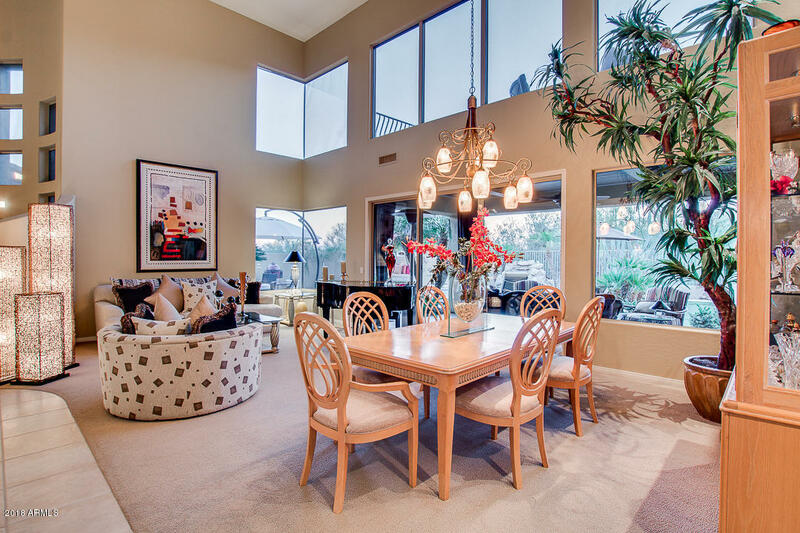 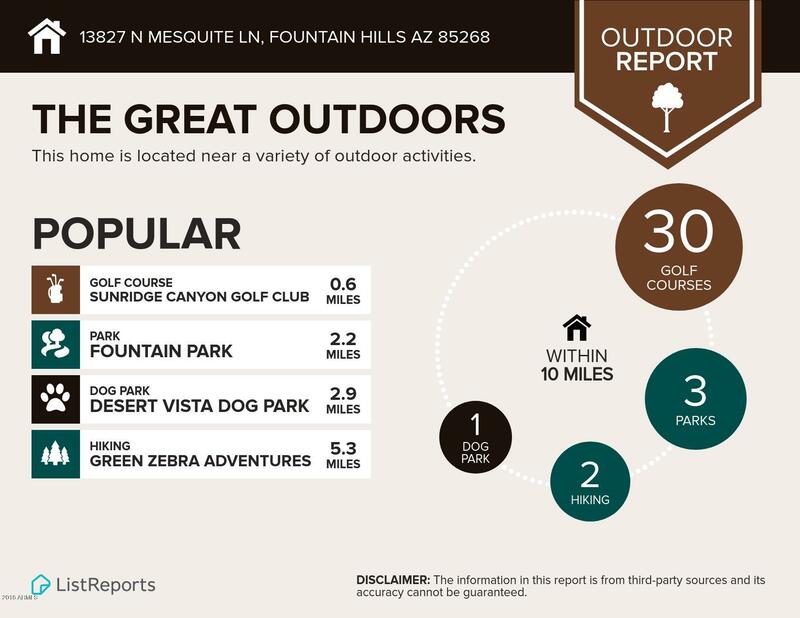 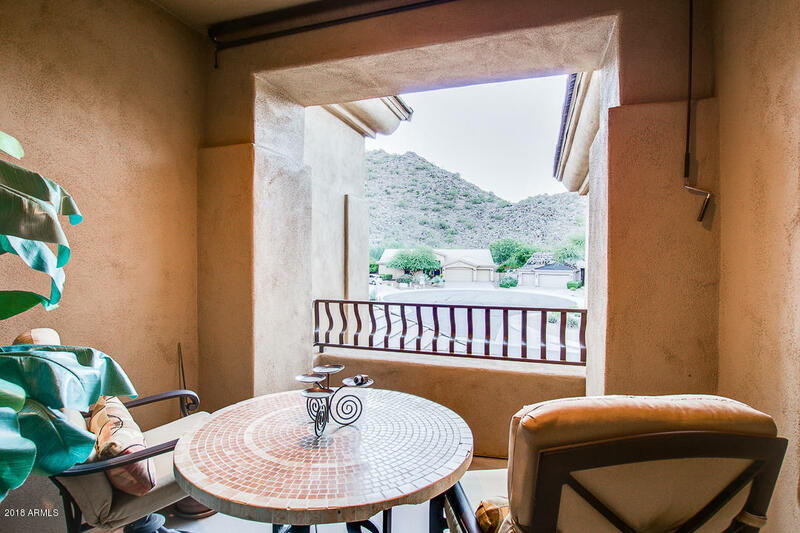 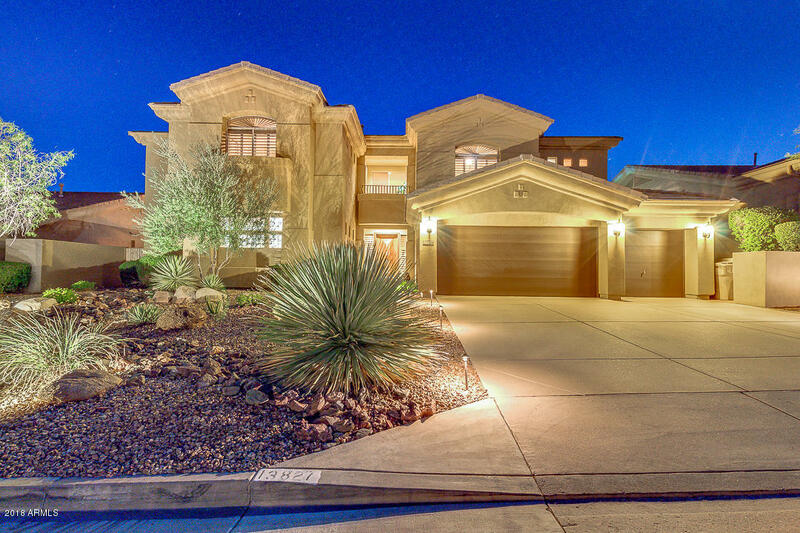 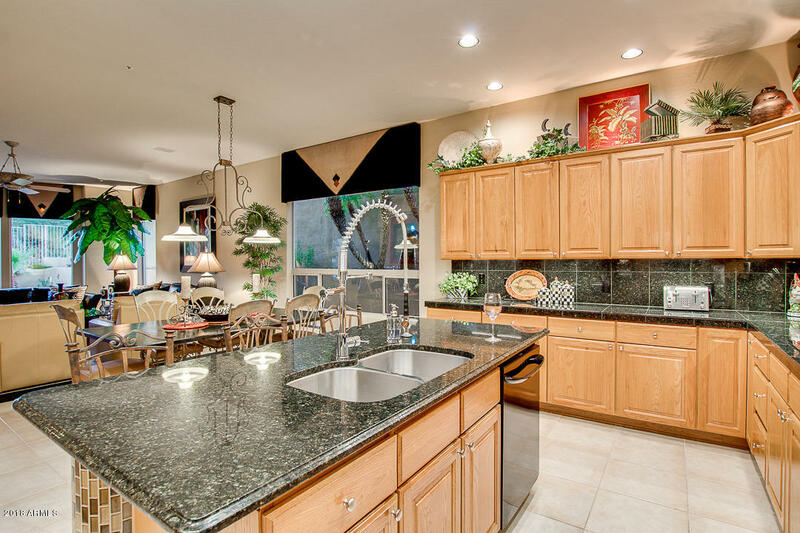 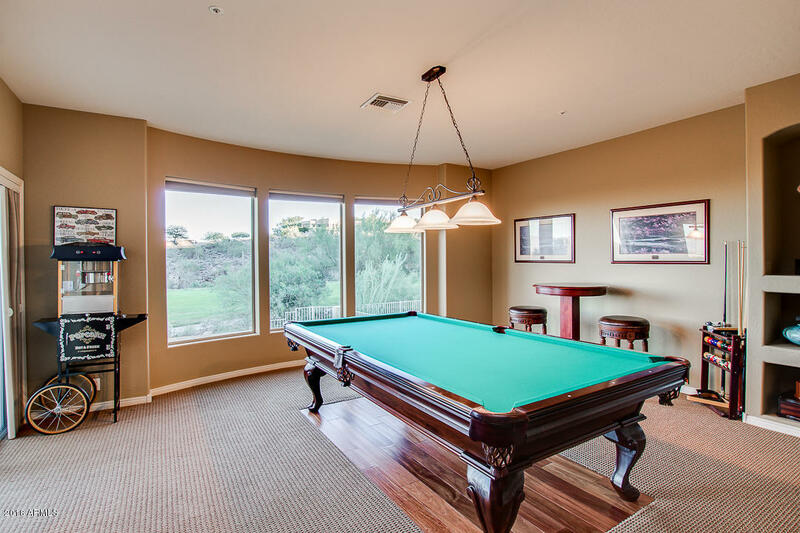 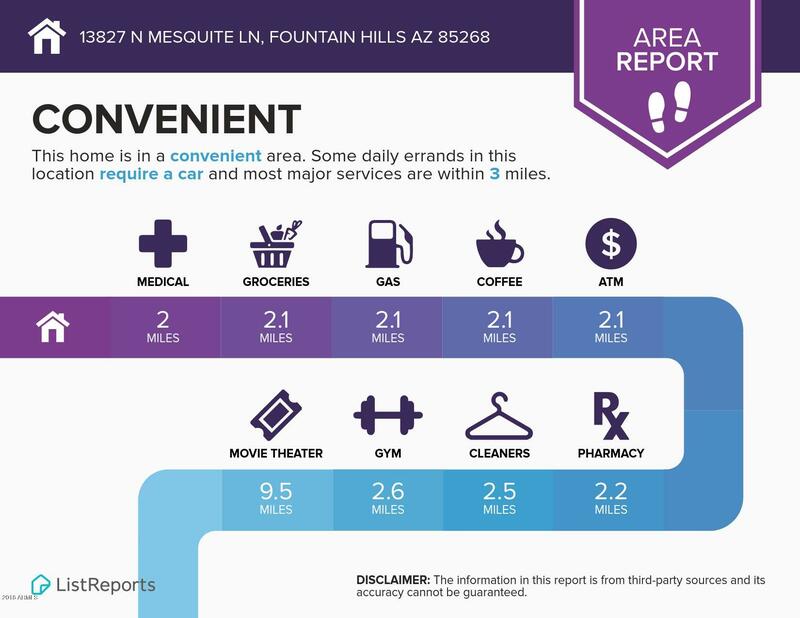 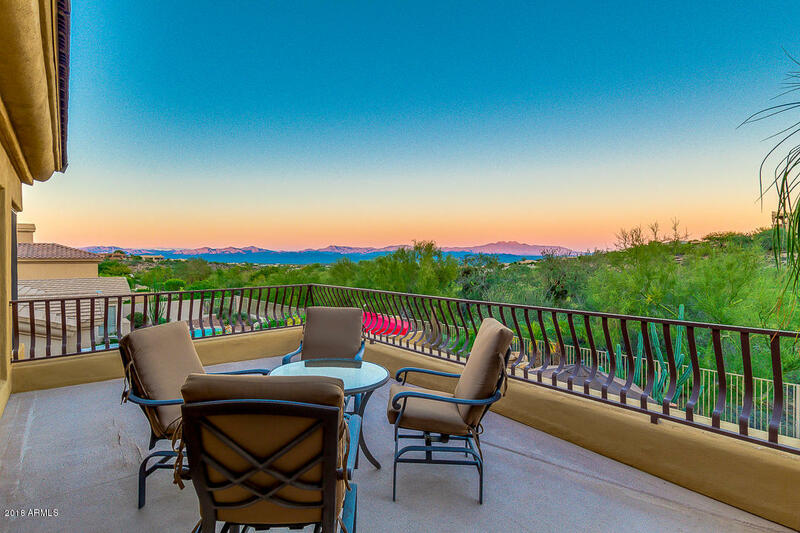 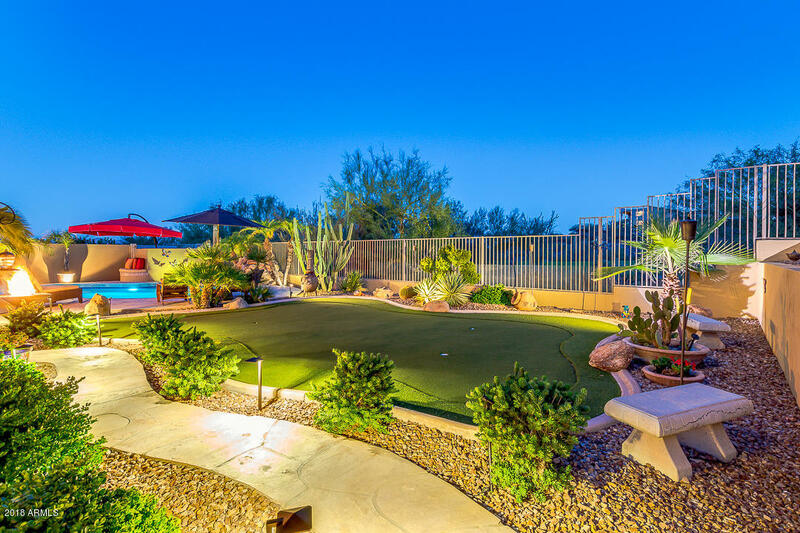 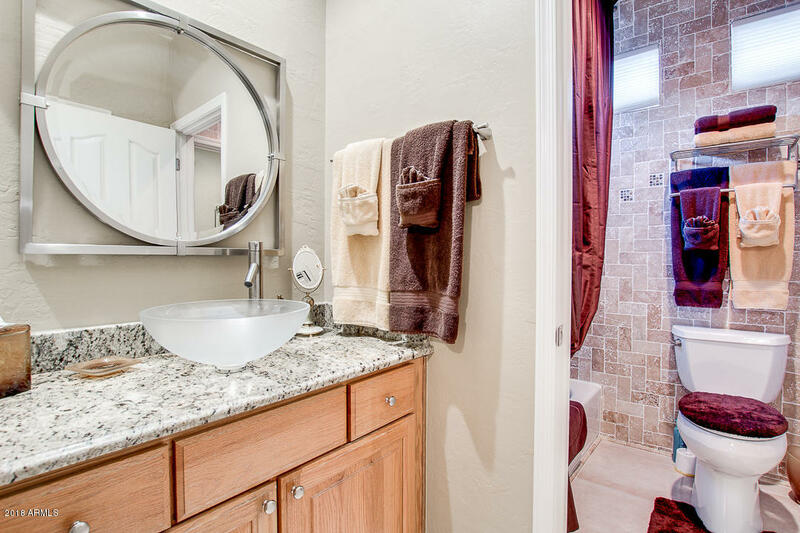 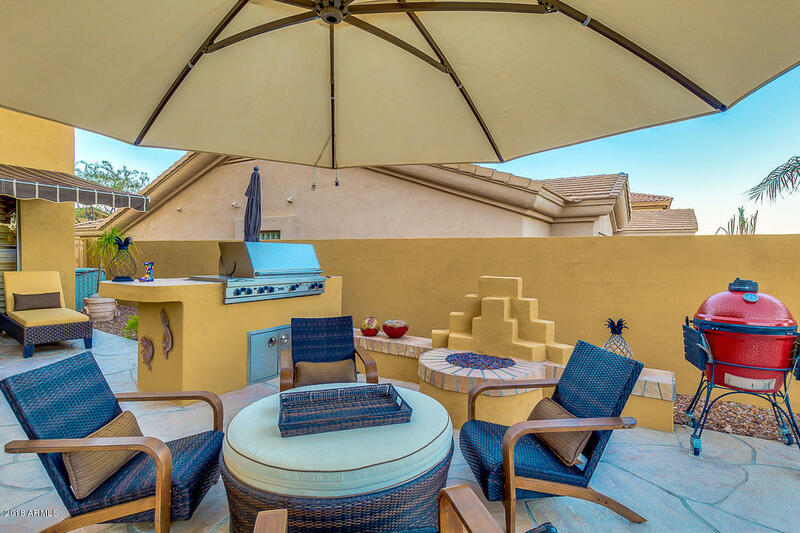 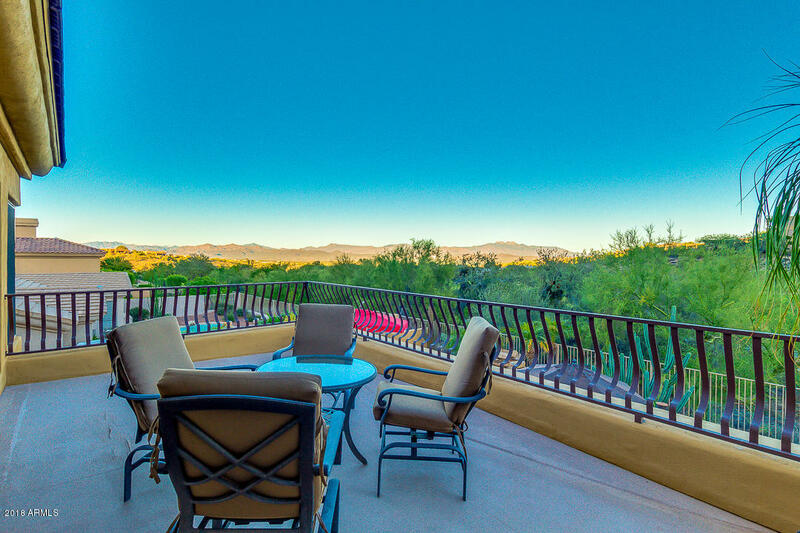 Home is nestled at the base of the McDowell Mountains making for expansive views. 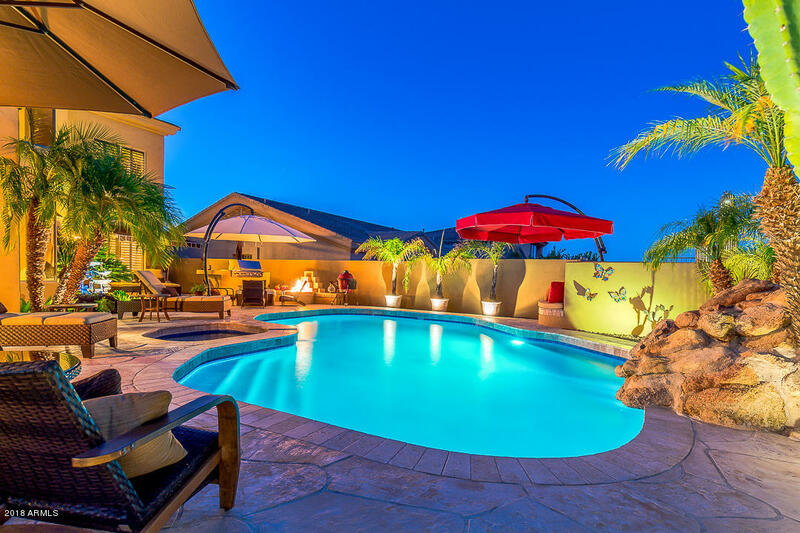 Resort Back yard complete with heated Pebble-Tec pool, Spa and rock waterfall. 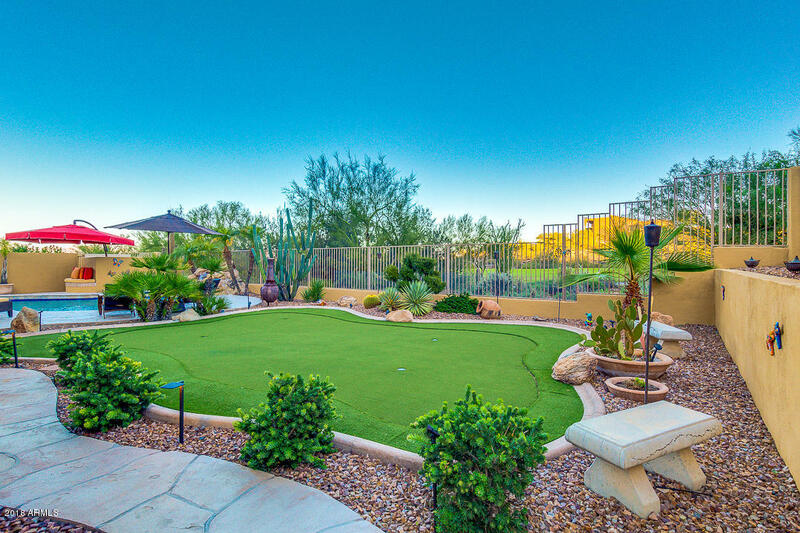 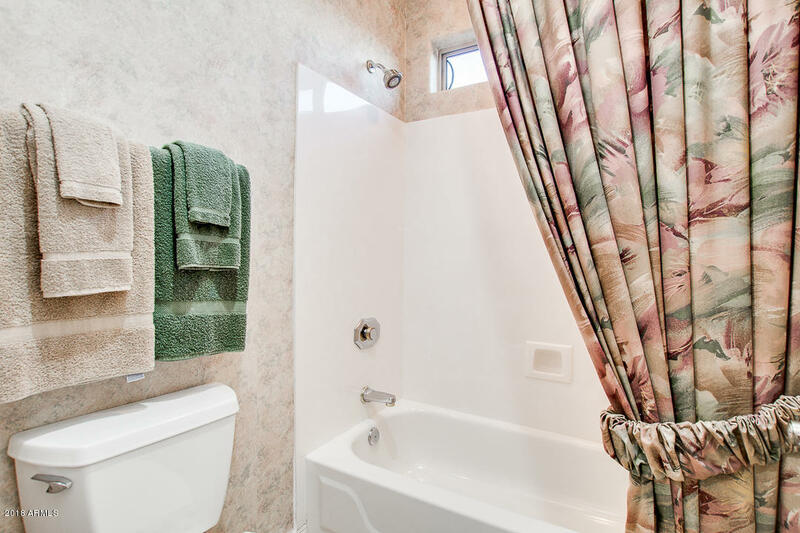 Home features, vessel sinks, retractable awning, putting green and lush landscaping. 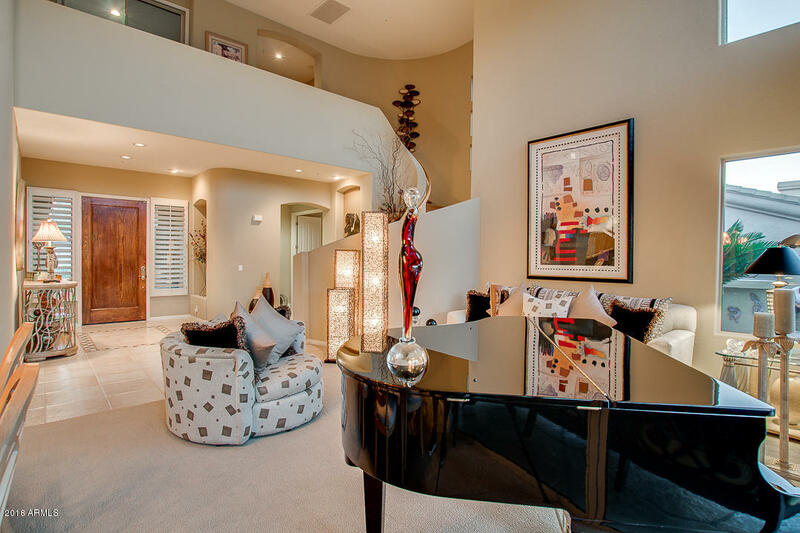 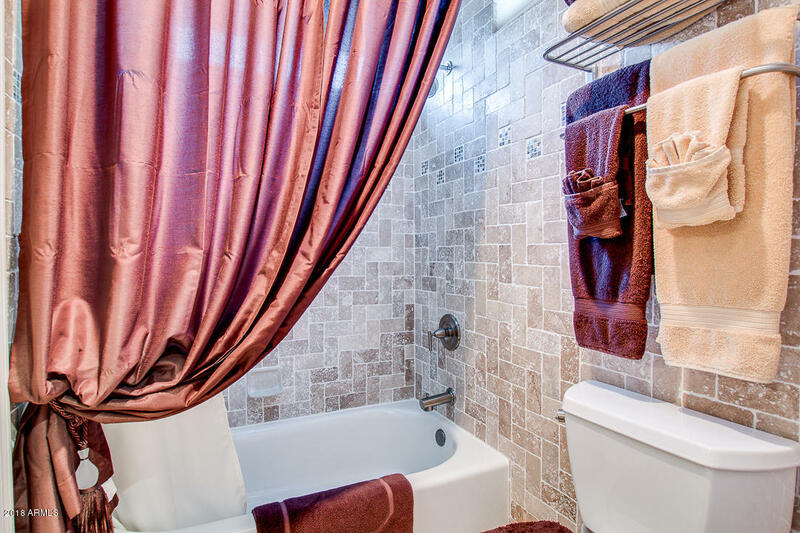 Take in the expansive views from the 2 balconies or from behind large double paned view-windows. 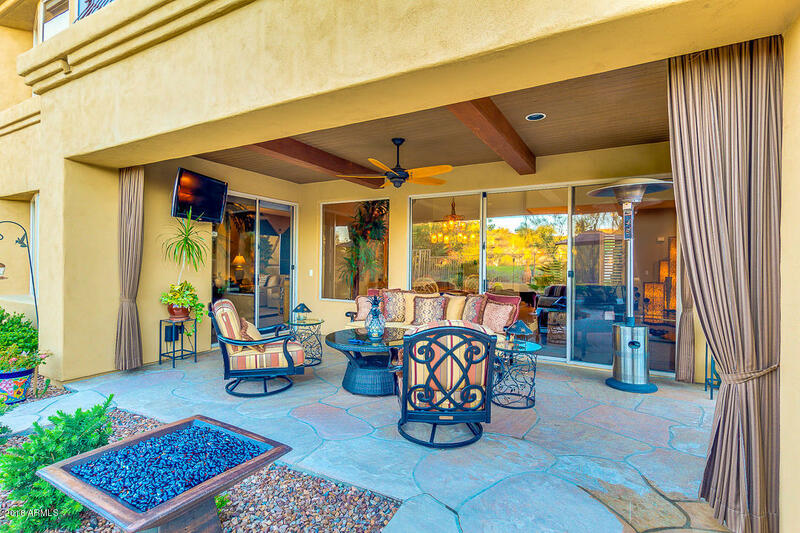 Large flagstone patio, fire pit and large stainless built in barbeque. 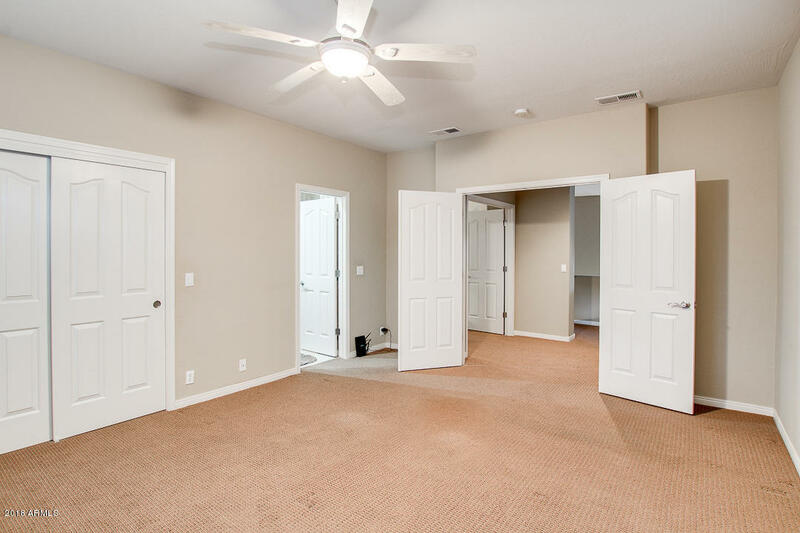 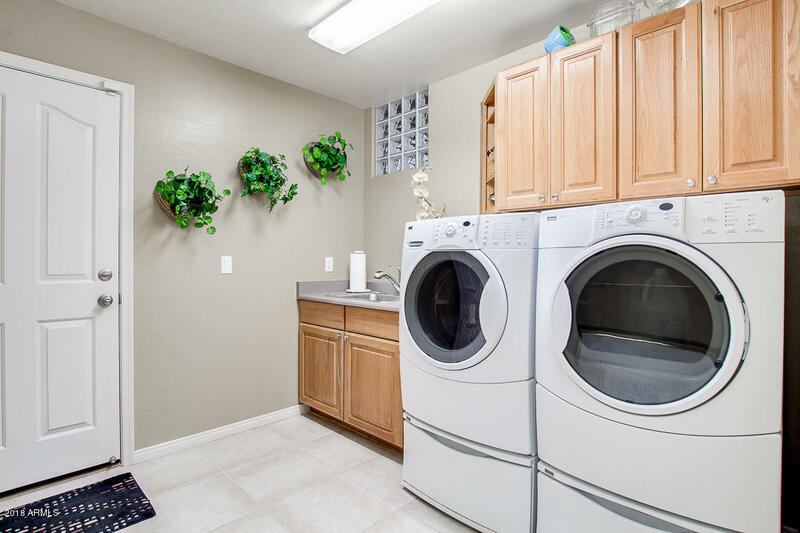 Upgraded light fixtures, ceiling fans, wet bar, Game Room, walk in closets, gas fireplace, large laundry room complete with sink and plenty of room for a second refrigerator/freezer, a large kitchen island with walk in pantry. 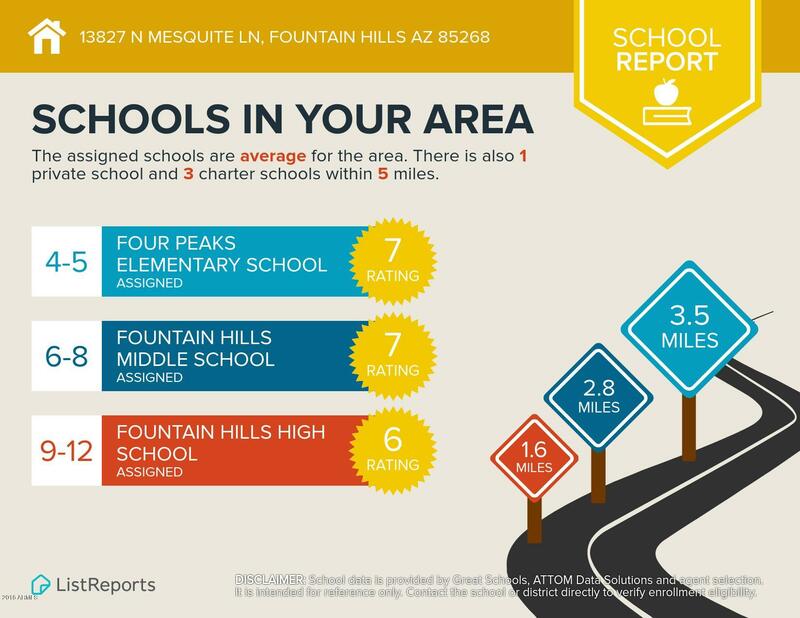 From Palisades Blvd and Sunridge Canyon Dr., turn left at the traffic light (Sunridge Drive), make 2nd right onto Sunset, then first quick left on Mesquite. 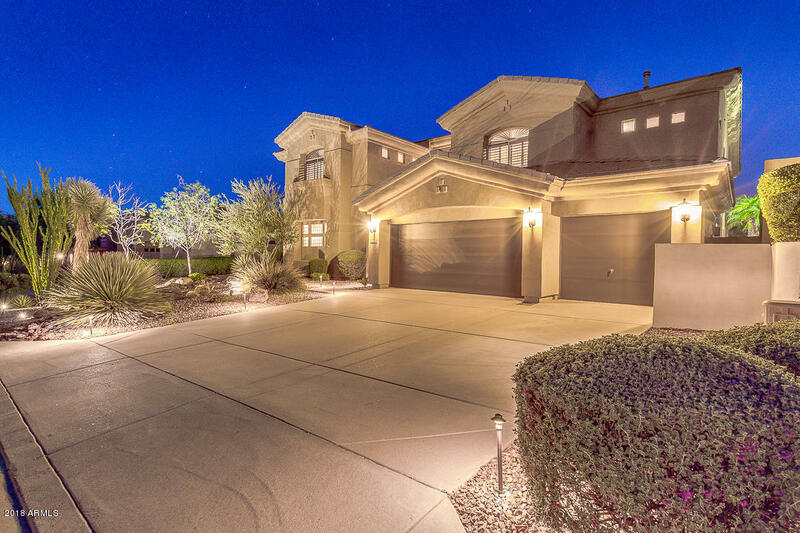 Address is on the Right. 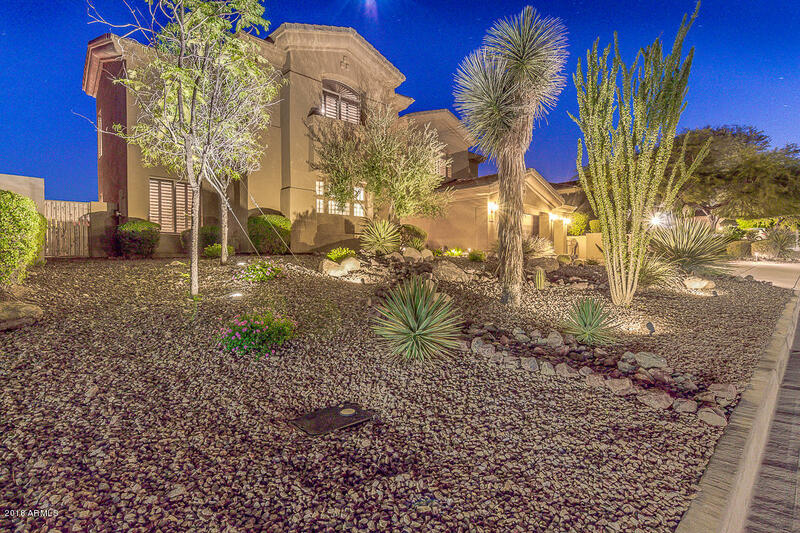 Palisades Blvd And Sunridge Canyon Dr.